For the first time, the richest collection of prehistoric Sardinian artifacts is compared with some of the most ancient and most famous peninsular finds. Stone, clay, bone. Female figures shaped by our ancestors. Starting from the remote and crucial age when the Neanderthal man gave way to the modern one. Namely to us. An exciting journey through the feelings of ancestral communities, through the sunset of the Palaeolithic and the Metal Ages. Which in Sardinia arrive on the eve of history, with the Nuragic Civilization and its formidable creations. The project highlights some Sardinian pre-historical and proto-historical female figures to offer the visitors an overview on the different archaeological contexts on the island. 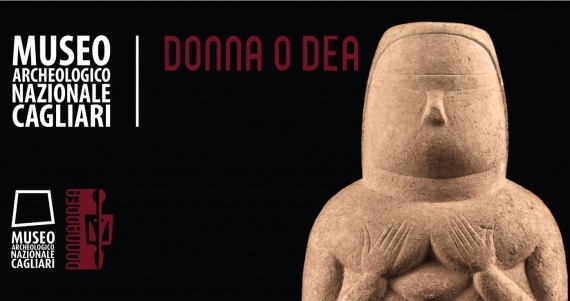 Starting from the most ancient artistic expressions of Paleolithic art, with the famous Venus of Savignano, about 25,000 years old, passing through the classical volumes of the Middle Neolithic, the exhibition path leads to the essential and solemn Nuragic style. The exhibition is curated by the anthropologist Silvia Fanni, and by the archaeologists Marcella Sirigu and Laura Soro, with the scientific validation of Carlo Lugliè.